The Gutsy Generation: McDreamy Makes Dreams Come True! This day should be marked down in history books and told to small children (or at least my grandchildren in a few decades). Today I received the best birthday present/any time present possible! The best part about this story is that it’s because of another IBDer. I emailed her on a whim, loving her blog, and we soon struck up a lengthy email conversation. A very long story short, she knew someone that she knew I loved and made a huge dream of mine come true! Patrick Dempsey knows about the Gutsy Generation! He signed it for me! He even spelled my name right! I am so excited, I even called my Grandmom in complete excitement and amazement. You never know what connections someone else has and how your life can change because of them. 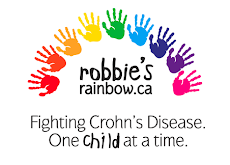 It’s absolutely incredible and makes me so happy to have met my friend and bonded over our mutual IBD-ness. 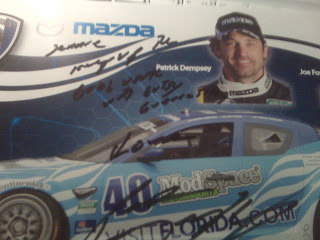 Patrick Dempsey - thank you, I love you dearly, and I will certainly continue on being a part of The Gutsy Generation. Wow, how cool is that?? What a small world too!! Brought a smile to my face so thanks for that!! !